progress of the babies and supply milk formula to parents and guardians. We take good care ensuring the babies are healthy and are of a good weight to survive a poverty-stricken life. However, we continuously need your help because more mothers and babies arrive at our doors daily and we do not have enough supplies to meet the need due to funding. Can you imagine the heartache of families who grieve and strive to feed the baby because the mother dies during child birth or in consequence siblings or grandparents are forced to become guardians, some as young as 10 or some as old as 80? 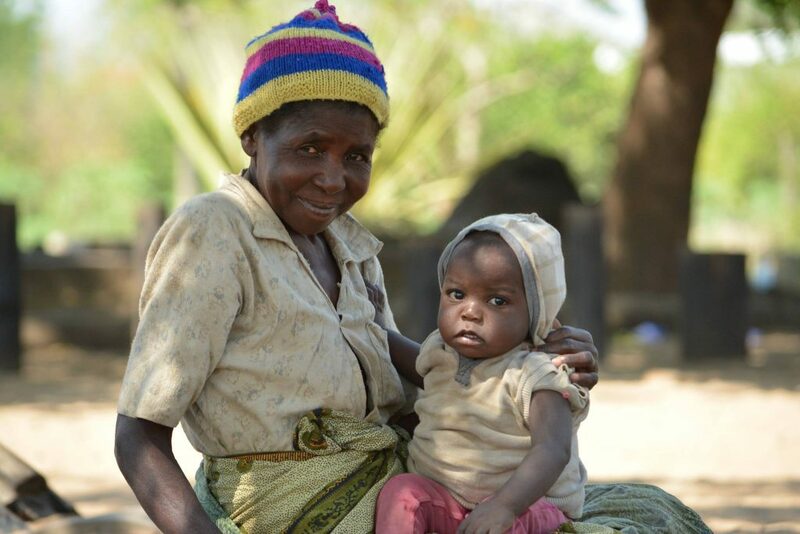 Some mothers tell us they feel ashamed because they’re unable to produce milk for their own baby due to poor health, diet or HIV; they simply have no money to buy formula. This is a harsh reality for parents and guardians visiting our Baby Ministry. There is hope! 1 in 34 mothers die during child birth, although this epidemic tragedy seems hopeless, we are dedicated in finding solutions. For example, we aim to educate to-be mothers on safe-pregnancy and we currently teach mothers and guardians in best-practice baby care and gaining the resources and provision they need. Your help and prayers are always welcomed. Be part of something inspiring! The Mother and Baby Support Programme saves lives through providing a home onsite for mothers and their severely malnourished or sick baby to stay short-term to receive assistance, guidance and respite. We offer a supportive environment by monitoring the situation and having a quick-response system if hospital treatment is required. Our onsite Baby Care Assistant teaches the mothers techniques to feed, wash and care for her baby effectively. We also give vitamins and minerals to the babies and mothers visiting the Home, for example we offer dried Moringa leaves from our onsite Moringa trees which offer enormous health benefits. For instance, Moringa offers 7 times more vitamin C than oranges, 4 times more vitamin A than carrots, 4 times more calcium than milk and some! We believe the mentoring, provision and passed-on experience will bring about real change for the babies; real change for the mothers, and change for the next generation. By encouraging and supporting the mothers and babies, at the Mother and Baby Support Home, we believe we are offering them a way out of preventable deaths, curable illnesses and bad health. The Mother Support Programme aren’t just investing in short term solutions for a community, our goals span further than next week, next month or even next year! We’re investing in fundamental teachings to mothers and guardians about caring for their baby. For example, some mothers feed their babies once a day because that’s how little they eat. We are also helping parents and guardians understand hospital procedures, for example, some mothers remove their baby’s oxygen tubes in hospital because they are afraid the tubes are killing their baby, the distressing truth is they are the ones harming their own baby from lack of education and awareness. Hope is a big deal! It is something we all desperately need, keeps us stable in desperate times. The babies have hope through their mothers and guardians. We feed the mothers if they are weak and hungry to strengthen them to produce milk and assist them in caring for themselves and baby effectively. We believe in equipping them with tools and resources such as HIV transferring awareness, nutritious food for Mum and new baby packages (including baby clothes, baby baths, reusable nappies etc). We aim to give them a positive start, confidence and a hopeful future. And because our hope is anchored in Jesus, we can choose hope every day!